PRA's certification programs distinguishes professionals that have mastered the principles of psychiatric rehabilitation, and are equipped to implement effective person-centered services that maximize resiliency and recovery outcomes. Home » Why Get Certified? PRA Certification is a Verification of Professional Expertise. 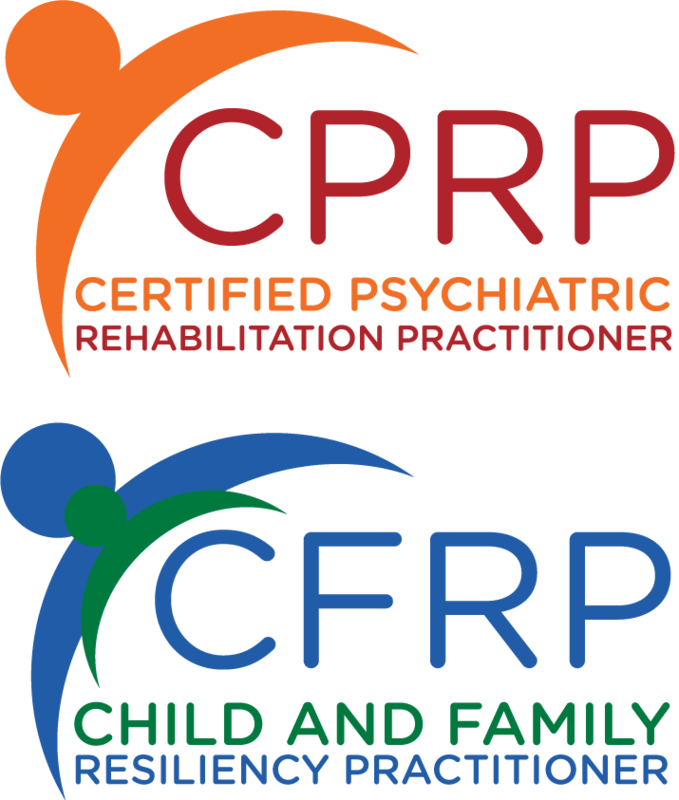 CPRP and CFRP credentials are earned by professionals in psychiatric rehabilitation that meet strict requirements in academia, work experience, continuing education and training; through a rigorous test of knowledge and skill, passage of the certification exam, and adherence to the PRA Code of Ethics. Maintenance of these credentials demonstrates a dedication to the field, and the promise of recovery, through continued education and training. The CPRP exam success rate is about 65%. Statistics for the CFRP are not yet available. Certification validates and provides assurance to consumers and clients; other mental health care professionals; and employers, state licensure boards, and third-party payers. Through participation in continuous professional development activities, consumers and clients can be confident that credential holders are keeping up with rapid changes in the professions' scopes of practice. Certification enhances your professional opportunities. Holding the CPRP or CFRP credential offers increased opportunities for employment, mobility, career advancement, professional credibility, and more, because it is increasingly being recognized in state regulations. Manage recruitment costs by focusing training resources on Continuing Competence. Build knowledge in a staff that will stay, rather than constantly re-training staff that come and go. A survey of CPRPs indicates that 70% of practitioners had been employed at the same agency for 5 years or longer. Incorporate qualified individuals with non-traditional backgrounds in your staff. The contributions of consumer-peers, peer specialists and other non-degreed professionals are well-documented. Passing the CPRP exam establishes the competence of these highly motivated individuals. Create a staff that values cultural and ethnic diversity. Passing the CPRP exam requires an understanding of and commitment to the principle of culturally competent practice. With the advent and introduction of the CFRP credential, PRA is looking forward to seeing similar strides in the children's behavioral healthcare system. Evidence shows that a principle that respects every individual's capacity to learn, grow, and make independent choices markedly improve resiliency and recovery outcomes of psychiatric rehabilitation services. This has fundamentally altered the way communities view mental illness, empowering those with psychiatric disabilities to live life with meaning and hope. The mental health field has always understood the need to address mental illness, yet has struggled to reach consensus on how to provide effective support for people on their recovery journey. The CPRP and CFRP provides a mechanism to ensure delivery of the most effective and professional psychiatric rehabilitation services, from early childhood through adulthood. Increasing public confidence in the professional of psychiatric rehabilitation, certification identifies a practitioner as having achieved the required level of knowledge and skill in the field. Maintaining PRA credentials through continuing education and recertification reinforces this notion and identifies CPRPs and CFRPS as current and professionally competent to colleagues, employers, agencies and the public-at-large. Many practitioners are self-motivated to learn about current findings in psychiatric rehabilitation and related issues, earning and maintaining (recertification) a certification credential highlights the importance for them to remain current and proficient within a rapidly developing and changing profession. There are models and strategies of psychiatric rehabilitation service delivery that increase persons in recovery goal attainment and service satisfaction. Practitioners who hold the PRA credentials are proud to illustrate their commitment to professional growth and personal strengths. Having the knowledge that there are ongoing competency assurance requirements can lead to positive performance and practice change within an organization, an agency and even a state. Established by PRA, the Certification Commission for Psychiatric Rehabilitation is the standard-setting body for PRAs’ credentialing programs. The Commission provides the governance, coordination, planning, and operation of the certification process as well as promotes the welfare of people in recovery by establishing professional standards for those engaged in providing psychiatric rehabilitation services. The commission works to assist and encourage all persons engaged in the profession of psychiatric rehabilitation to achieve and maintain the highest professional standards. The Commission is housed in PRA, separate from PRF (which consists of the charitable Foundation and the Academy of Psychiatric Rehabilitation and Recovery). Within PRA, the Commission has autonomy in decision-making related to certification matters such as eligibility standards and exam development/administration. This ensures the integrity of our certifications. The Commission consists of no less than eleven (11) and not more than fifteen (15) members at any given time. Commissioners serve a term of four (4) years, and may serve no more than two (2) consecutive terms, or a maximum of ten (10) years. At all time, no less than 2/3 of all Commissioners are CPRPs in good standing. The Commission strives to maintain a diverse membership, and ensure geographic representation of all CPRPs. Commissioners may be recipients of psychiatric rehabilitation services, family members of recipients, those in related helping professions, and Public Mental Health Administrators. Meet the Commissioners.